I love poetry. I love reading it, writing it, performing it, listening to it... There is just something about hearing a bunch of words lovingly put together in order to express feelings and ideas using aesthetic and rhythmic qualities of language, often creating something beautiful in the process. 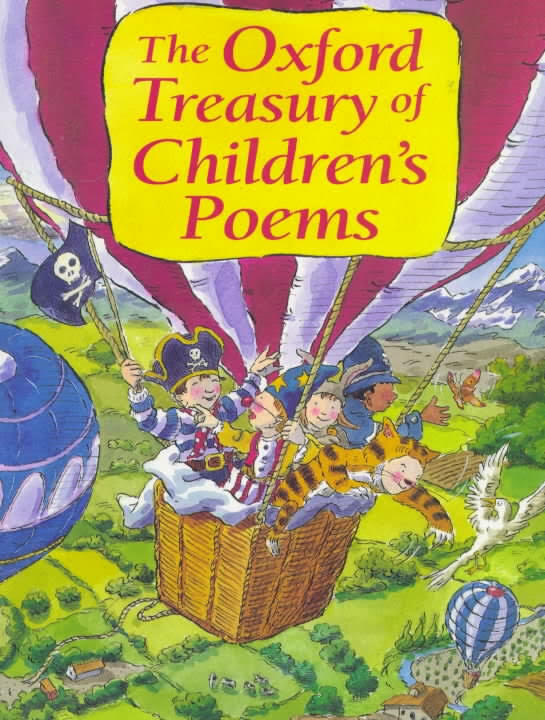 As a child I was physically unable to drag my eight-year-old nose out of The Oxford Treasury of Children's Poems. 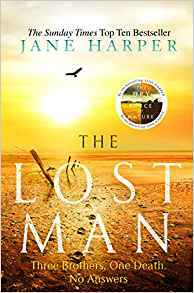 I have never loved a book quite as much as I loved that one. Such was my obsession I would devour poem after poem and memorise them (often insisting on performing them to my poor unsuspecting mother at the most inconvenient of times.) My favourite one within that book was a slightly unusual one entitled 'A man of words, but not of deeds' which was by Percy B. Green. I can still sit here and recite it pretty much word-for-word twenty years later. I couldn't quite put my finger on why I loved this poem so much...the illustrations always grabbed me, but I think it was the formation of words and the way in which each line of the poem flowed so gently into the next that really attracted me. The poem just tripped off my tounge when I was reciting it to my (by now, very fed-up) mother and I just loved the way in sounded when I read it both aloud and in my head. And so began my love affair with rhyming poetry. 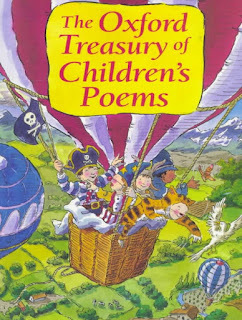 I accumulated countless poetry books (Another Very First Poetry Book was always a favourite, along with Heard it in the Playground by Allan Ahlberg) I never got bored of the rhyming formations and how both humour and rhythm were often used to tell a story in the form of a short, sharp, snappy poem. My Mum (who was now THOROUGHLY fed-up with my spouting poetry at her, whether it was from a book or my own attempts) introduced me to Pam Ayres. I immediately fell in love with Pam's poems and became addicted to her style of writing. Although at sixteen I probably wasn't in her target audience (I had looked after my teeth...) what she had done with creating these quick, witty, sharp yet realistic rhymes was amazing. And definitely something I wanted to have a go at. Life then got in the way and I didn't re-visit my attempts at writing poetry until I was in my twenties. I had recently started working at a library and I had access to hundreds of poetry books, all of which I would devour. I felt inspired to give writing my own poetry a shot once again - this time writing about things that were relevant to me as a twenty year old (this time they focused on dieting, spending all my money on shoes and disastrous driving lessons.) It started to occur to me that I had written a lot of poems but I didn't really have anything to do with them...Until I spotted a poetry competition running in my local paper. Seeing as I'd accumulated rather a lot of poems in my own personal collection, I decided to enter a few into the competition, which was run by a publishing company called New Era Writers. One of my proudest achievements to date was actually WINNING this competition (I KNOW!) I'm still a little bit on a high nine years later if I'm being completely honest. 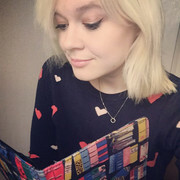 I was given the opportunity to have my poems put together in a specially designed and illustrated book which I called Handbags, Heels and Haircuts. I still have copies of my very own book which I like to just take out and stare at from time to time, and I've been lucky enough to have various other poems published in various anthologies since then. Once again, life then got in the way of any potential poetry writing- until recently. 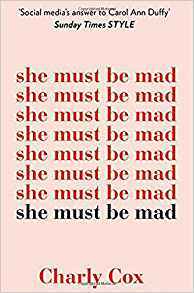 The release of She Must be Mad by Charly Cox (which I'm currently reading now and is AMAZING! It's also the bestselling poetry debut of 2018, FYI...) inspired me to dig out my sparkly notebook and poke fun at some of the issues I have been experiencing in poetry form once again. Recent additions include poems about online dating, my friends all buying houses before me and my lack of cookery skills. Until I started writing poetry again I had almost forgotten just how much I loved it. Not only have I been writing more poetry of my own, but I have also taken to reading more too and I'm in the process of putting together a blog post about the poetry books I have been loving lately. As and when I feel confident enough - I do plan on sharing some of my new poems on my blog too *gulp*. The point of this quite personal and very rambly blog post is to wish you all a very happy National Poetry Day 2018.Whether you're reading/writing/performing/composing your own poetry in your head/annoying your mum by reciting your favourite poem I hope you have a lovely day full of lovely words. You can find out more about National Poetry Day here.